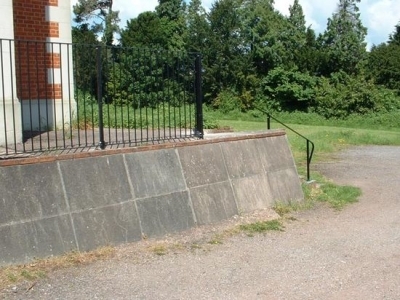 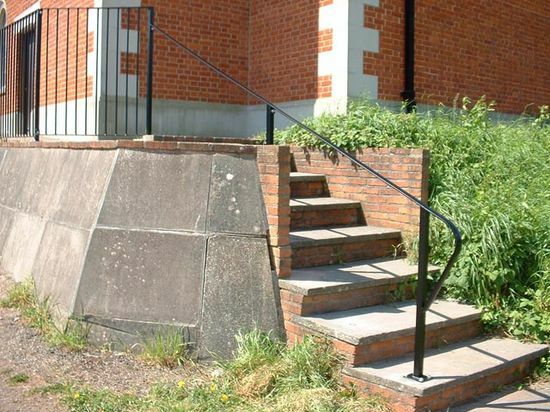 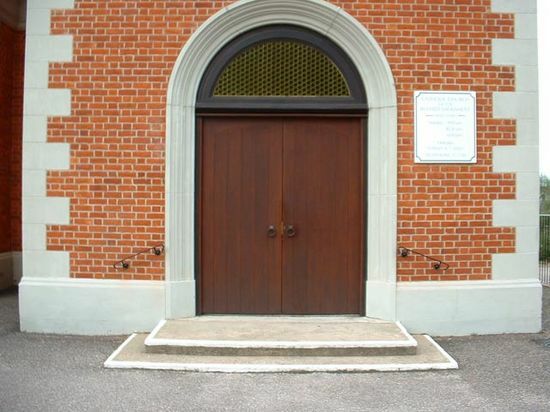 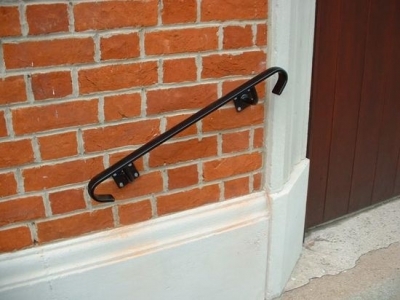 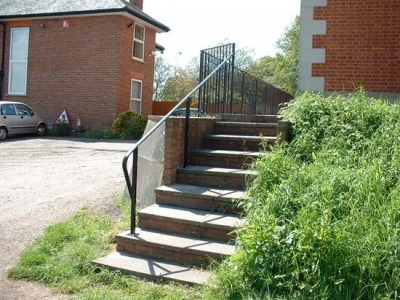 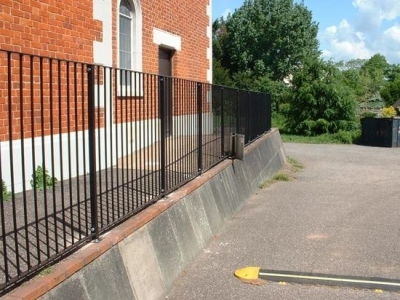 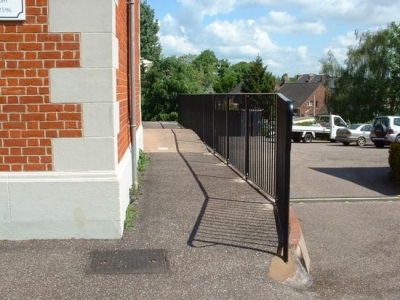 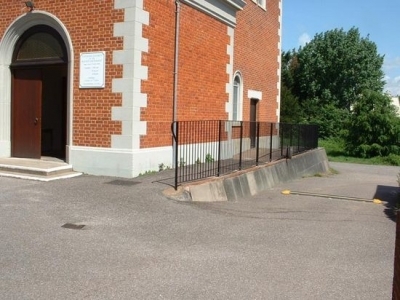 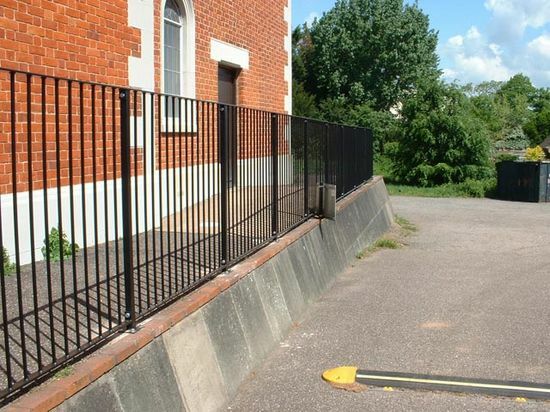 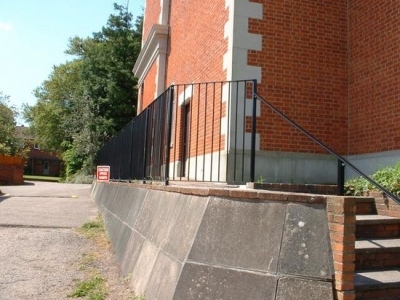 These railings were installed to prevent persons falling of the walkway whilst leaving the building through the new emergency exit. Extra handrails were installed to improve access for less abled persons. The railings were produced and finished at our workshop, but the stair bannister was fabricated on site.